Manufacturer, Exporter and Supplier all types of Wrinkle Removing Roll from India like, Bow Roll, Banana Roll, Expander Roll, Metal Expander Roll, Slat Expander Roll and more. This is the most commonly used wrinkle remover device. It mainly consists of bowed shaft, metal segments, sealed ball bearings, abrasion resistant, rubber sleeve etc. 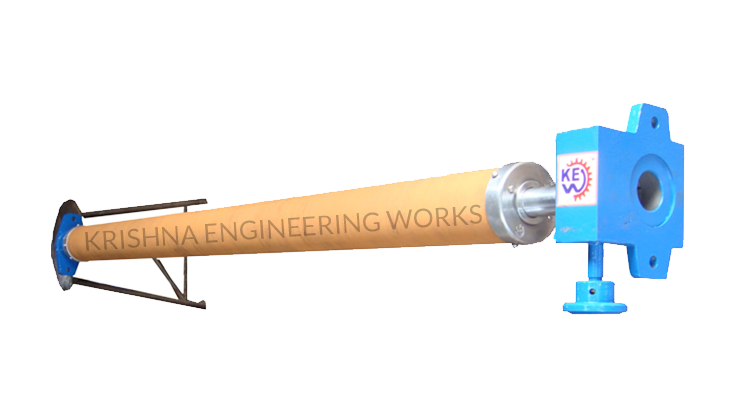 Krishna Engineering Works incorporated into manufacturing and exporting business of Wrinkle Removing Roll, and Bow Roll from India. Our skilled engineers have designed bow roll for the application to get maximum result from wrinkles. We ensure to get premium quality of wrinkle removing roll, Bow Roll with meeting international industrial standards. 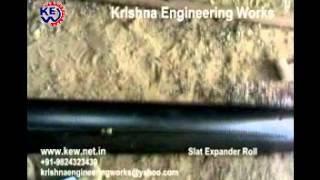 We make Expander Rollers having very wide range of dimensions and suitable for equally wide range of applications and web materials. They are supplied with mounting brackets, which could be either wall mounting or foot mounting. The Expander Rollers we offer consist of bowed shafts, sealed ball bearings, abrasion resistant sleeve and metal segments. These are widely used as wrinkle remover devices in various industries and are available with us in various dimensions. Further, these are also supplied with gear set and mounting brackets which can either be Foot Mounted or Wall Mounted. Used in Different Industries : Industries Like Paper, Tyrecord, Plastic Packaging, Woven Sacks, Pharmaceuticals, Leather, Textile, Plywood, Sheet Line Material Handeling and many more.